What a crazy past few weeks! I was so busy staring at my computer screen and writing, writing, writing, as the semester wound down that the last thing I wanted to do was get back on here to write something else. I'm very happy to report that I've successfully finished my first semester of my program! I'm enjoying this short and much needed break by visiting with friends and family, baking stuff for the freezer, working on a knitting project, reading the Hobbit, and basically just hanging out with Estes in my pjs. 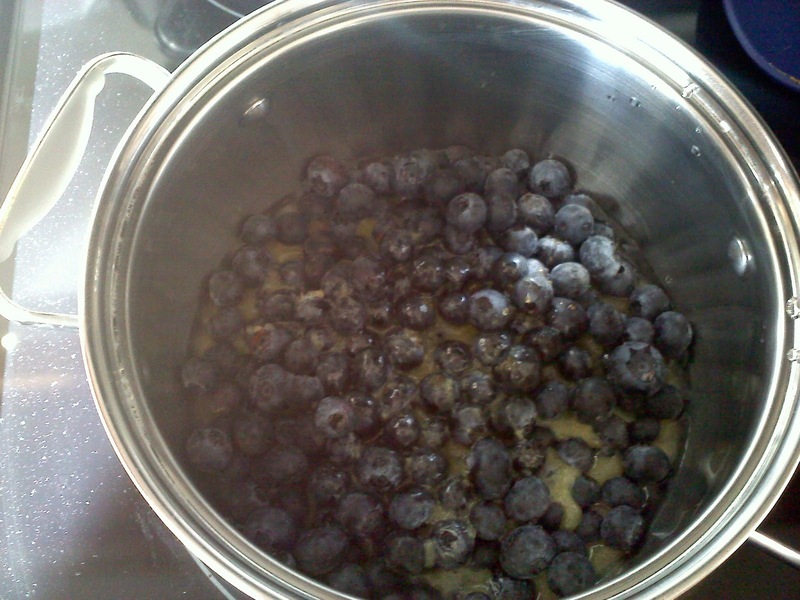 Today I left the house to pick up some groceries and something exciting happened - blueberries were on sale at Sprouts! Four packs for $5! This was hard to pass up, even though I know blueberries aren't in season. Of course I bought them and then came home to browse the web for good blueberry recipes. I quickly found this one and decided to make it this afternoon. I like the use of oats in the recipe because it's something that would be really good for breakfast as well as for snack or dessert. Michael and I have been trying to eat more oatmeal for breakfast and sometimes the regular bowl of oats just doesn't cut it, I get bored. This morning for example, I made Dreena Burton's "Breakfast Cookies" from Let them Eat Vegan! 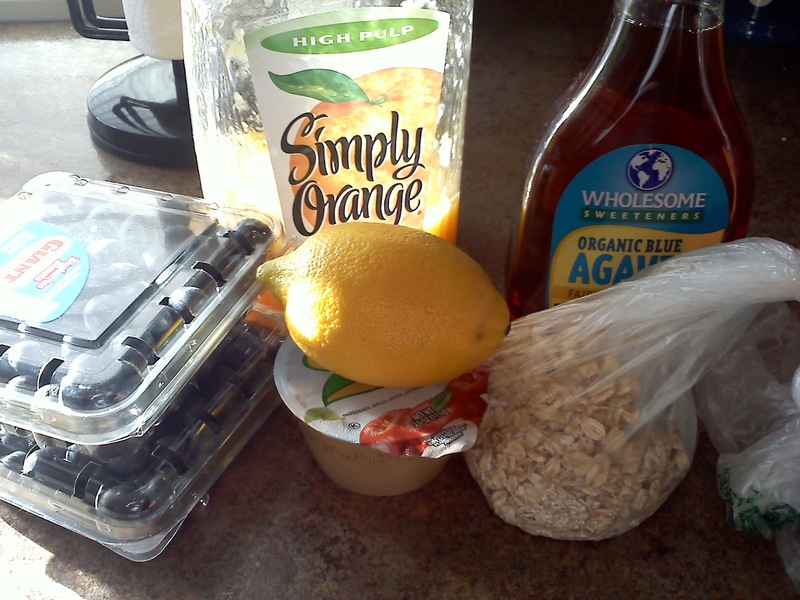 and they definitely covered the wholesome oatmeal breakfast I was looking for but with the shape and taste of a cookie. Yum! 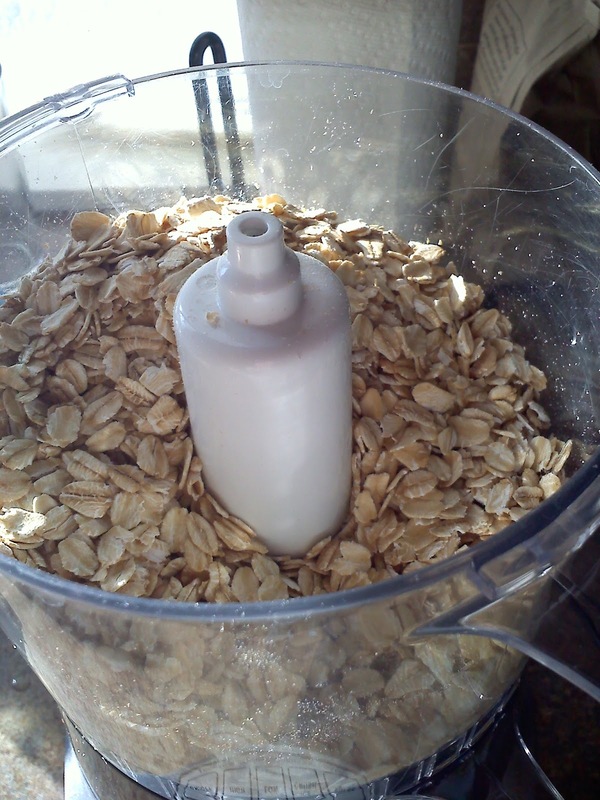 I'm also trying to do more oat things or less flour things so I can pass along recipes to my gluten free friends! 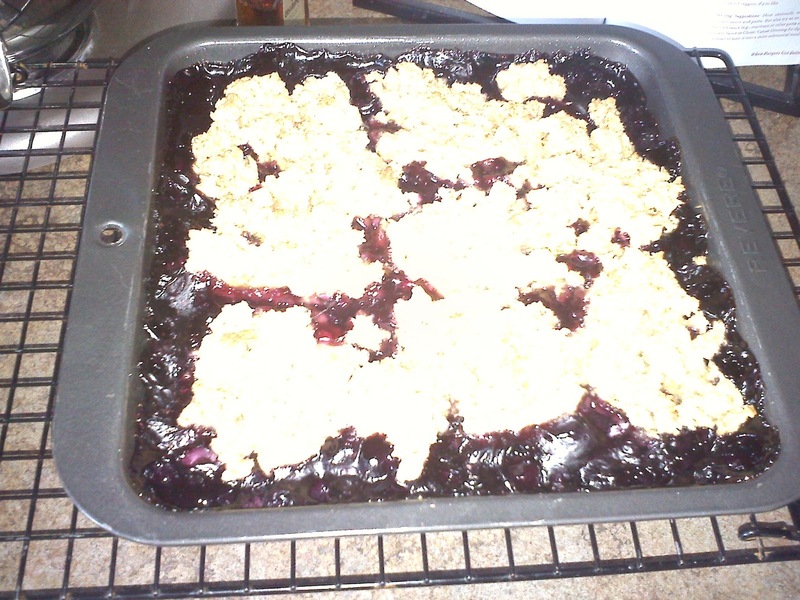 I like these blueberry bars because there is no flour, just oats and ground up oats. If you're gluten-free just make sure the oats are certified gluten-free. Anyways, here is the link to the original recipe, from FatFree Vegan Kitchen. The nutritional facts won't stay the same for my version because I added and took away things - I tweaked the recipe based on the ingredients I had and didn't have at the house. 1. Preheat oven to 375ºF. Oil an 8x8-inch baking pan (I think mine was 9x9 because the batter was a little bit of a stretch to fit in the pan but it worked out anyways). 2. 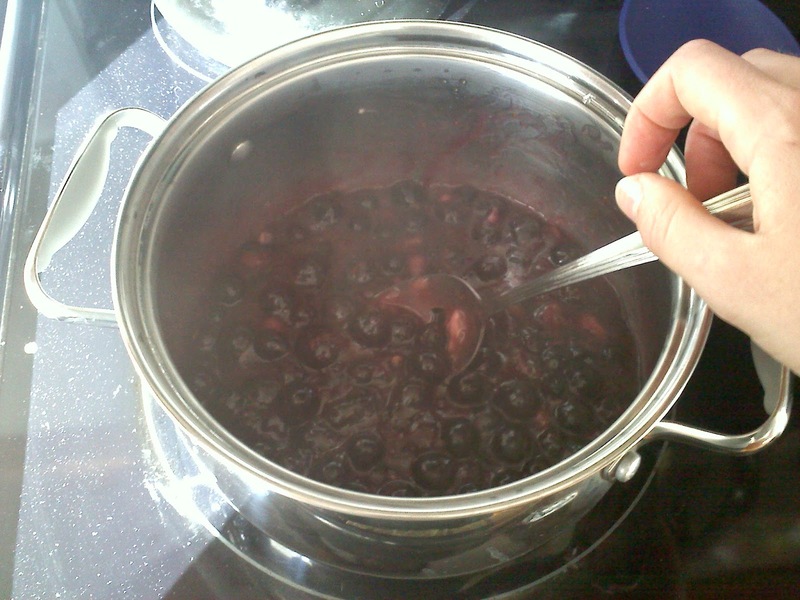 In a small saucepan, combine the blueberries, agave nectar and juice. Bring to a boil over medium-high heat. When it boils, stir in the vanilla and cornstarch mixture. Continue to stair as the mixture boils and thickens. Remove from heat and set aside. 3. 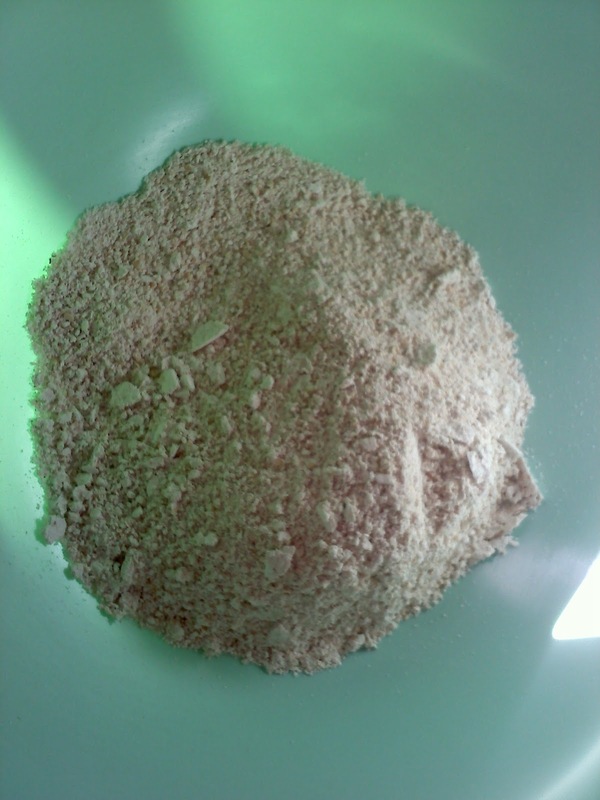 Put 1 1/2 cups of the oatmeal into a food processor and grind it to a fine powder. 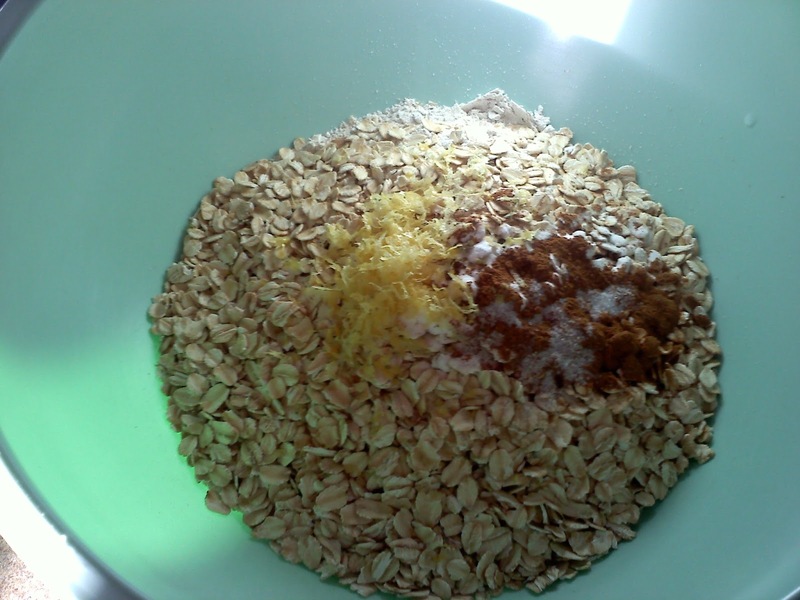 Pour into a medium-sized mixing bowl and add the remaining oatmeal, cinnamon, baking powder, salt and lemon zest. Mix well. 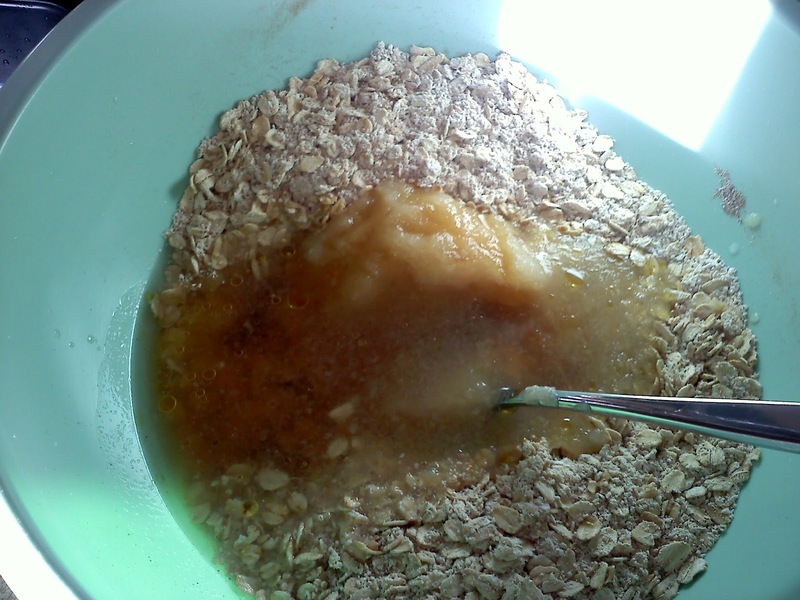 Stir in the apple sauce, olive oil, agave nectar, water and vanilla, and mix well. 4. Spread half of the batter into the prepared pan, smoothing well to cover the bottom of the pan. 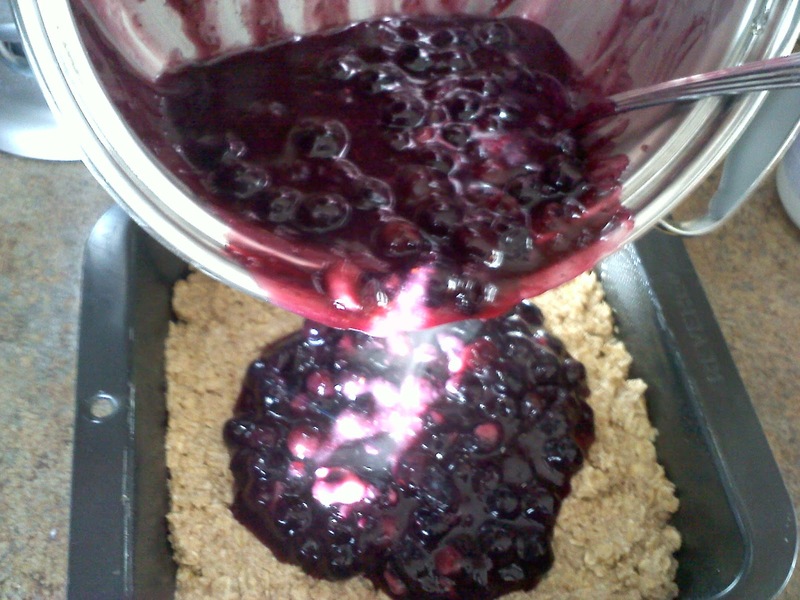 Spoon the blueberry filling over the batter, and cover the blueberries with the remaining batter. 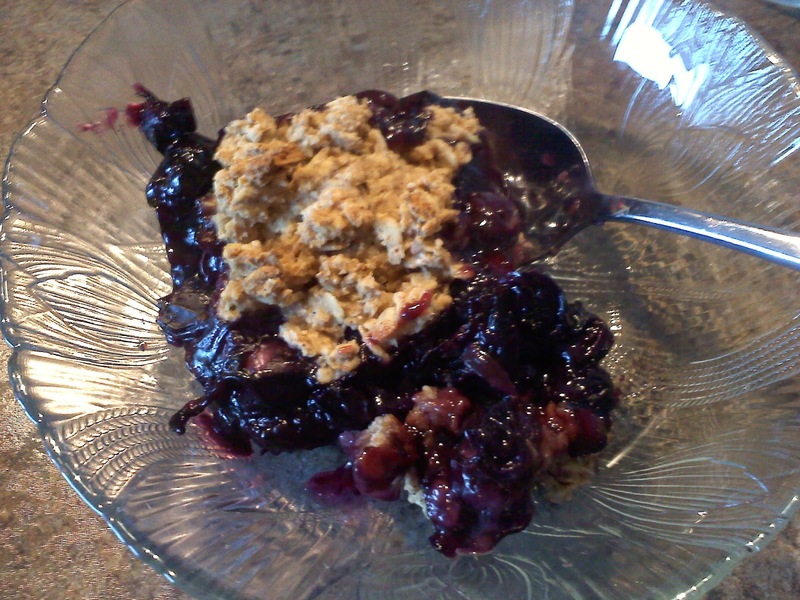 I did this with spoonful drops of the batter that I spread as I went so it stayed on top of the blueberry layer. 5. Bake for 30-35 minutes, or until the top is lightly browned. Allow to cool before cutting into bars. You can enjoy these for teatime or for breakfast and they would also make a delicious dessert with some vanilla ice cream!